Back in the late '80s-early '90s when I was speedskating competitively, I used what is now known as the Sure Grip Gripper toe stops (my rink sold them as "speed skate stops"; I have no idea who the mfr. was back then). I ran the trucks on my Prolines fairly loose, so I had to take my Dremel tool to each new pair of stops and relief-cut them in the rear corners, so I didn't get wheel bite while cross-stepping in the turns. SG also has a Mini Gripper stop, which are probably a bit lighter than the regular Grippers since they're smaller. I used a set of them when I built my wife's quads last year. JHB, Thanks for your input . I'll look into the mini gripper stop even though the weight isn't an issue and I understand the biting. My problem was that my wheels would bite into the plate due to looseness of the trucks. I've since replaced the bushings to the newer urethane type since my ol rubber ones needed replacement which has made a difference. I didn't have a problem with the Hugger stop design at the time but they're old, seemingly hard and slip when stepping off on them. It would be nice if my local rinks had them in stock so I could see them first hand. At the present I'm undecided as to the stops I'll get as well as wheels since I feel like mine slip while moving around corners, especially when leaning, shuffling my feet and gaining speed. Everyone's thoughts, input and experience is greatly appreciated. I believe you can buy Faster tires and use your Fanjet hubs with them. 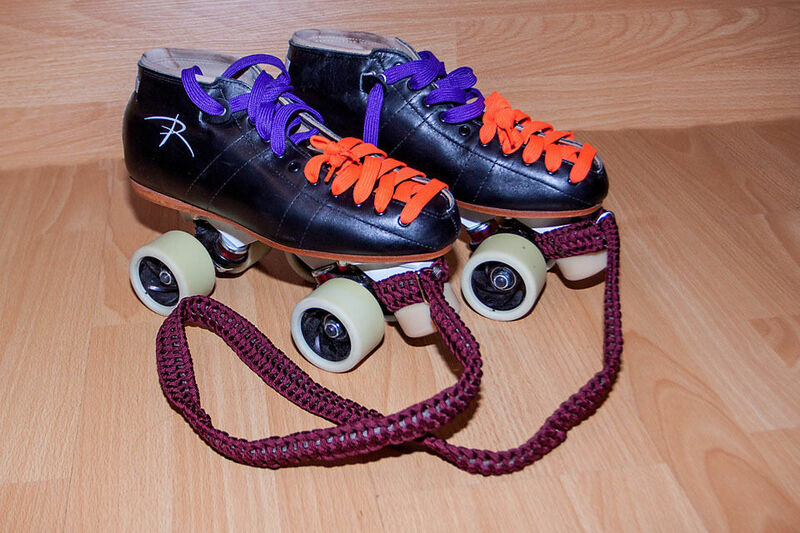 Contact Faster(info@fasterskates.com) to be absolutely sure. Tires run about $80 U.S. To answer your question: Both sets of wheels do admirably, but the harder naturals have just a bit more roll. I use them on an asphalt floor that is coated with urethane and a wood floor that is also coated with urethane. The toe stops are Snyder stops and are very good and obtained easily. The stops will run about $25 to $30. You might want to flat the last ones since they come round. Roll Line also makes a nice "hockey" stopper in imperial thread that is bigger (but not as big as traditionnal rink hockey stoppers) and comes flat. You can still get the Power Trac cutaway "toe starts". Sure Grip still makes them, hollow shaft and all. There are some old stock ones still around, but some of them have gotten a little crusty. They also still make the blue Nova stops. Those are pretty solid. My thoughts too. If you need to brake for kids then you are not really skating speed. There should be no need to brake when skating speed. The only time I put a toe stop on any of my skates is when I skate session. the only time I put on stoppers... is never... not even when playing derby. During races I've had people run on stoppers only to fall behind me when I use a lateral start. Anyone that puts a toestop in a prime location for runing on them isn't going to have the front axle in a good position for skating fast, and I'll pass them even if they do get off the line faster. I'm shopping for toe stops today, started for my wife's Riedell 265s that have worn out 30 year old ones. Then decided to get a new set for my 695s too. Why toe stops for speed skating? I don't know about today, but I've always used them since the 1970s. 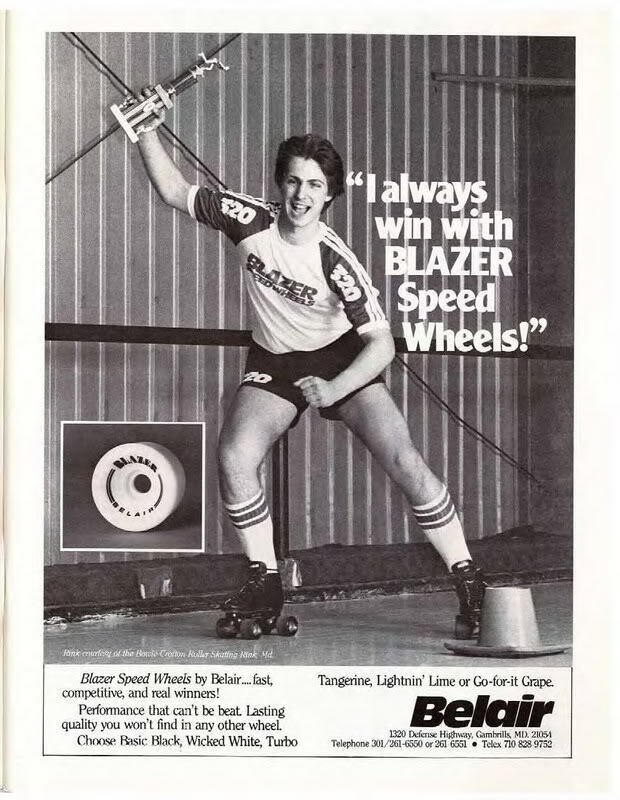 And the speed skates always had them. And I like to turn around to stop. And I run when taking off on my toes. And i like the feel of bumping the toe when shuffle sesson skating. Enough reasons for me! The real question is why not? Do you take your spare tire out of the trunk too, to save weight, and because you'll "probably not use it?" Not I. Why toe stops for speed skating? I don't know about today, but I've always used them since the 1970s. And the speed skates always had them. And I like to turn around to stop. There's edging skills to stop in reverse if you like to flip around to stop for some reason. T stops,Plow stops, powers stops and hockey stop can all be done going backwards and are faster (excluding T stops) , they also add in edging which give control of direction on the fly which a toestop cannot, since all it can do is slide.And I run when taking off on my toes. And i like the feel of bumping the toe when shuffle sesson skating. Enough reasons for me! The real question is why not? Do you take your spare tire out of the trunk too, to save weight, and because you'll "probably not use it?" Not I.
I was taught to brake smoothly to a controlled stop, not lock them up! Sure grip has the hugger style stops. I found the hugger style stops on the sure grip sight. They come in red,black,blue and white. I think they are Crest Stoppers. I still have some in red. But I think I'm gonna scoop up one of each here soon. When I built my plates, plates were not made to take toe stops. So far I have not missed them. Skates are a little lighter and like Mort said, you can bend the plates over as far as you like and not drag them by accident. So y’all just run nothing whatsoever? Not even a jam plug? As I know，In the World Speed Skating Championships on quads, the shoes with toe stop is not legal. I can start with wheels and make powerstop with wheels. Just plastic jam plugs. But not for stopping. But I dont do that stop. Kind of a derby/hockey stop. It’s a good stop! I just hate toe stops. Limits me on art jumping, but I was never going to get a double anyway.